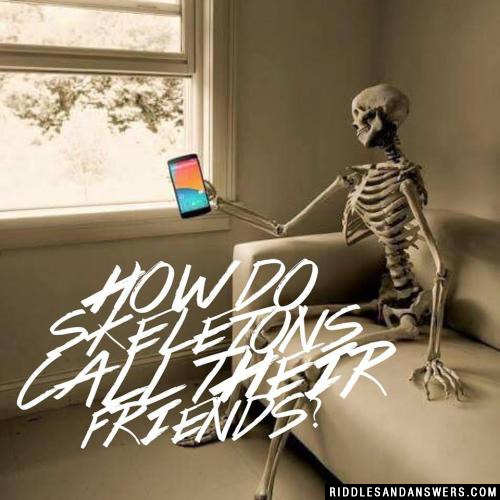 How does a skeleton call his friends? What happens when you phone a clown three times? What do you call a liar on the phone? What will happen if you dial "666" on the phone? The Police will come up-side down. Why couldn't the quarterback score a touchdown or make a phone call? He couldn't find the receiver. 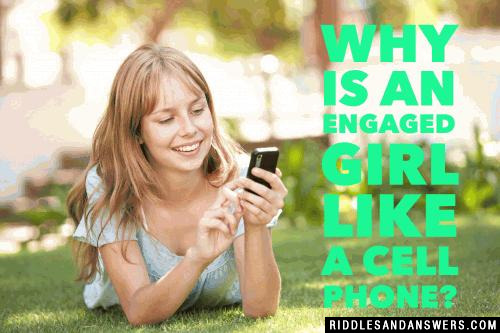 Why is an engaged girl like a cell phone? Why didn't the pirate's phone work? Because he left it off the hook! You answer me although I never ask you questions. What am I? 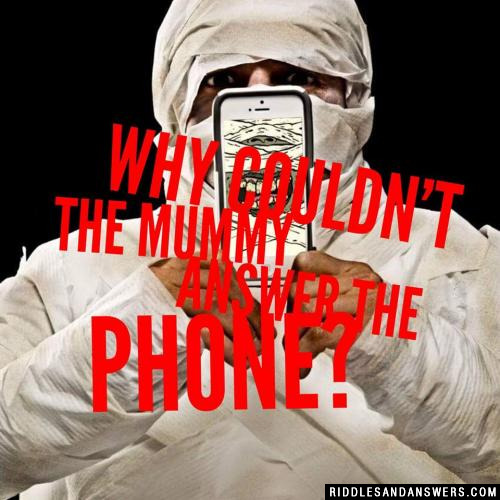 Can you come up with a cool, funny or clever Telephone Riddle of your own? Post it below (without the answer) to see if you can stump our users.